22a proudly present’s the 4th studio album from the Tenderlonious led jazz quartet - Ruby Rushton. 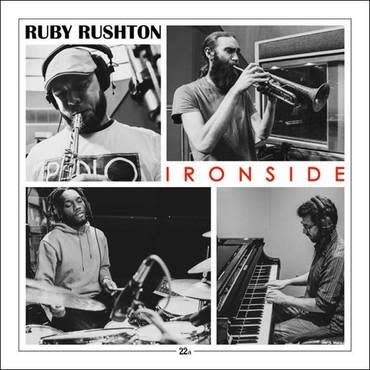 Ironside is Ruby Rushton’s most complete work to date and was recorded over a 2 day session at the legendary Abbey Road Studios. Ironside sees the band continuing to push boundaries, and lead the way, with this new genre defying recording. The quartet’s fresh, high energy sound is rooted in the spiritual concepts of John Coltrane and Yusef Lateef, paying homage to The Headhunters and Weather Report heyday, whilst still adopting influences from hip hop, Afrobeat and the UK underground culture.